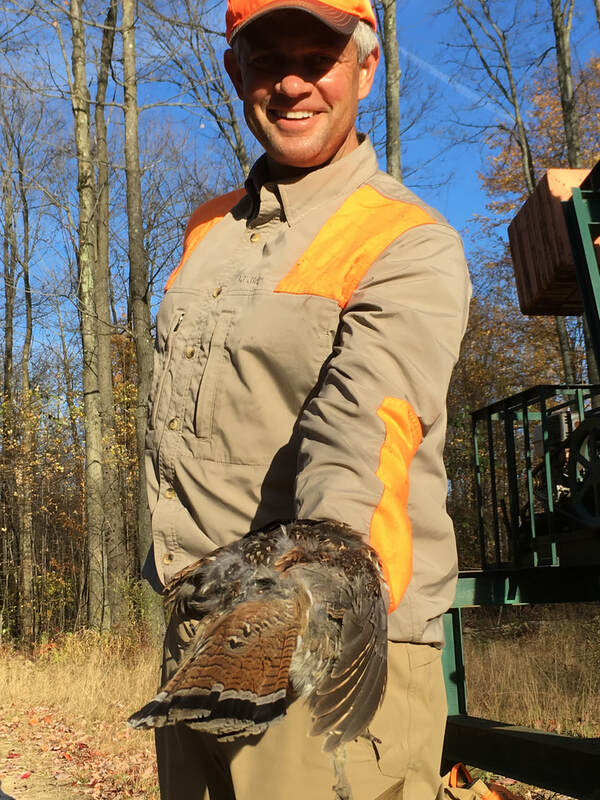 Chips first red phase ruffed grouse taken in 2017. 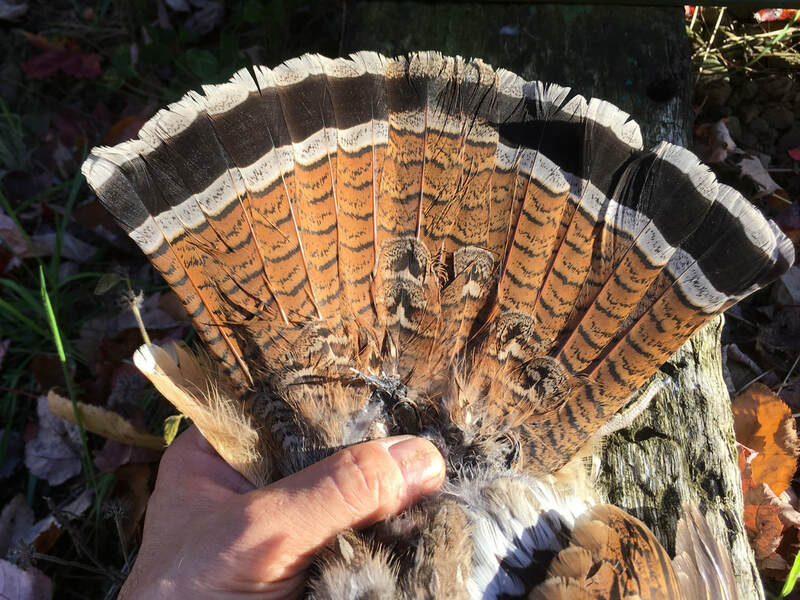 I could not get over this grouses tail and how pretty. I was honored that Jackie Hutwagner made this the CEB-US cover photo for the clubs Facebook page. 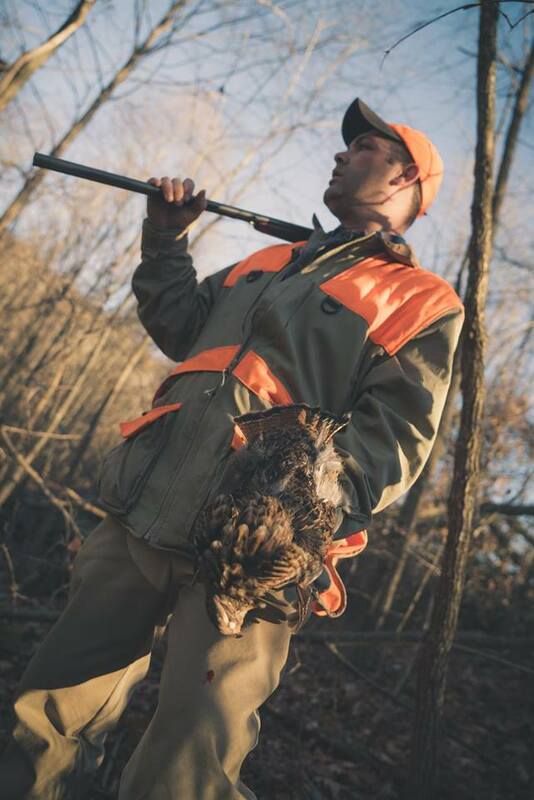 Often hunting is "just a walk in the woods with friends and good dogs." 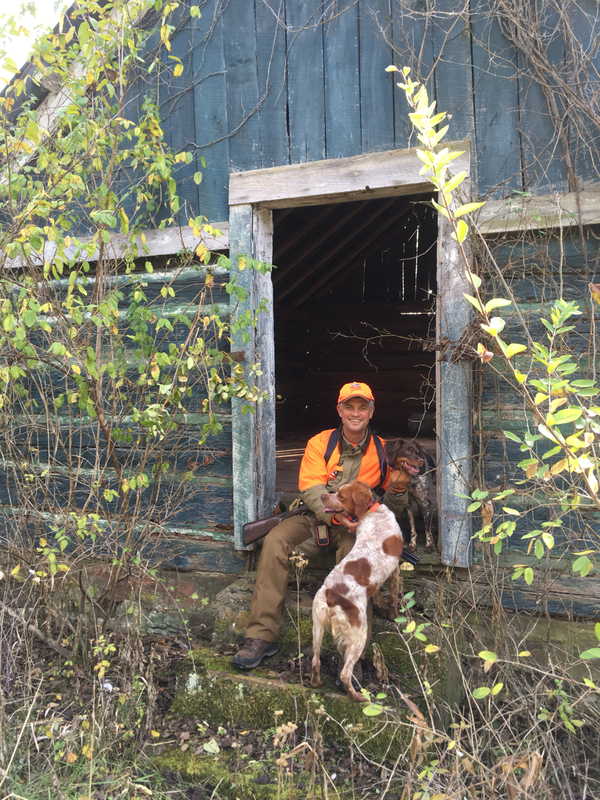 November weekend 2017 with Josh Legg and Jenni his liver tri color French Brittany. Kona is the OW dog. 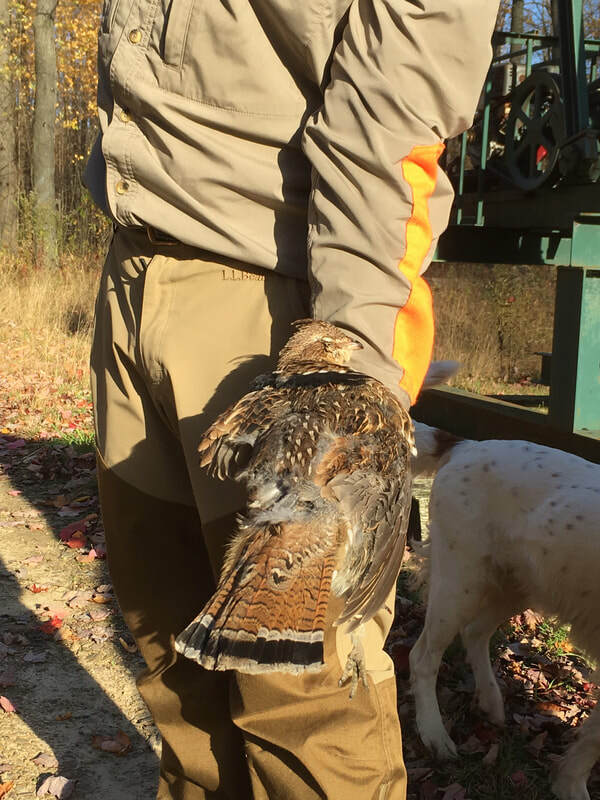 Middleton Smith first Ruffed Grouse George Washington National Forrest hunting with Kona and Bill Heindel 2016. 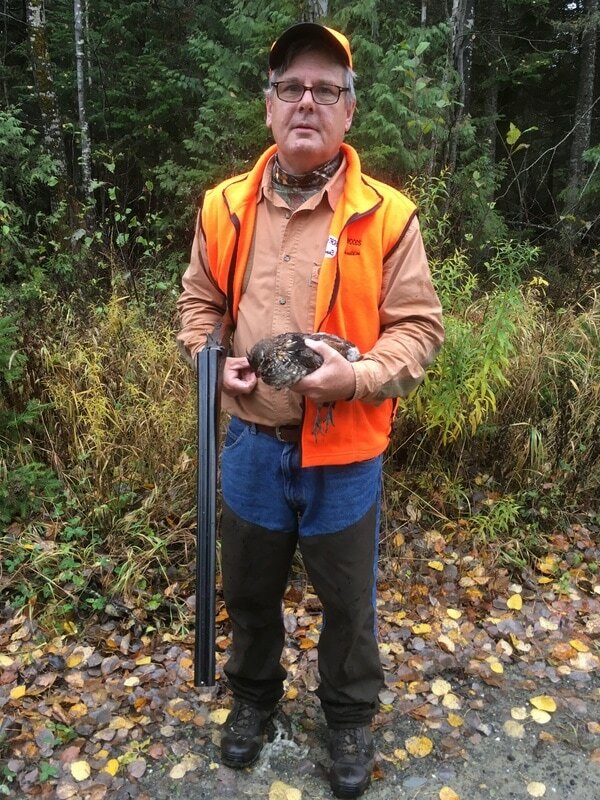 Middleton's First Grouse fall of 2016 taken while hunting with Kona.